ALLEGRA BOVERMAN/Staff photo. Gloucester Daily Times. 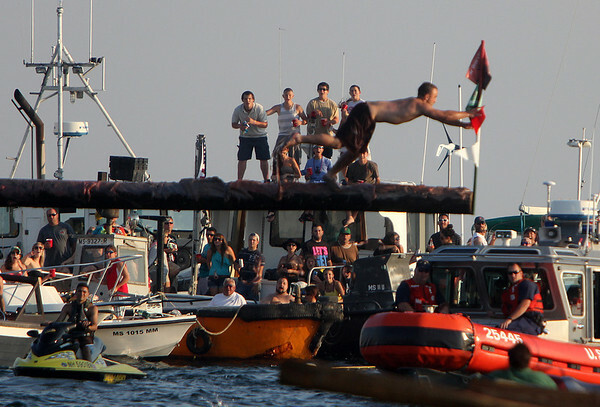 Gloucester: Ross Carlson reaches the flag and won the third round of the Friday Greasy Pole event.